Today's quick post is an outfit I styled a while ago and never got around to sharing! 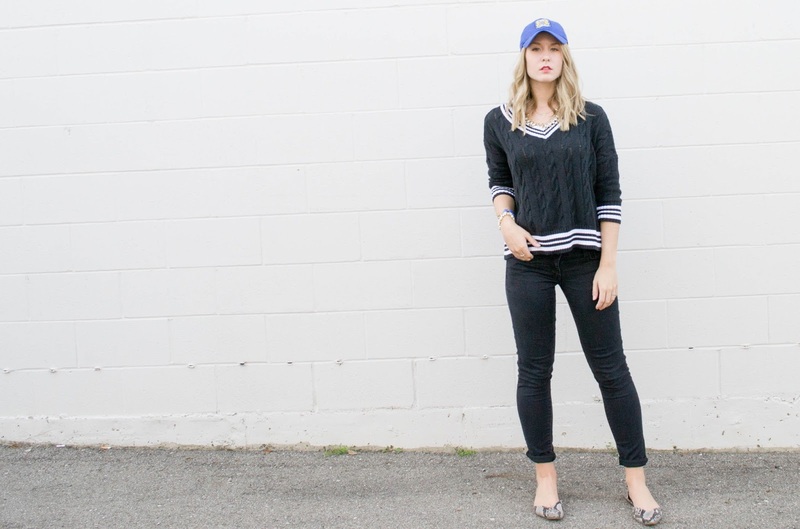 Wearing a simple black top and pants with a ball cap gives a super chic and laid back look. 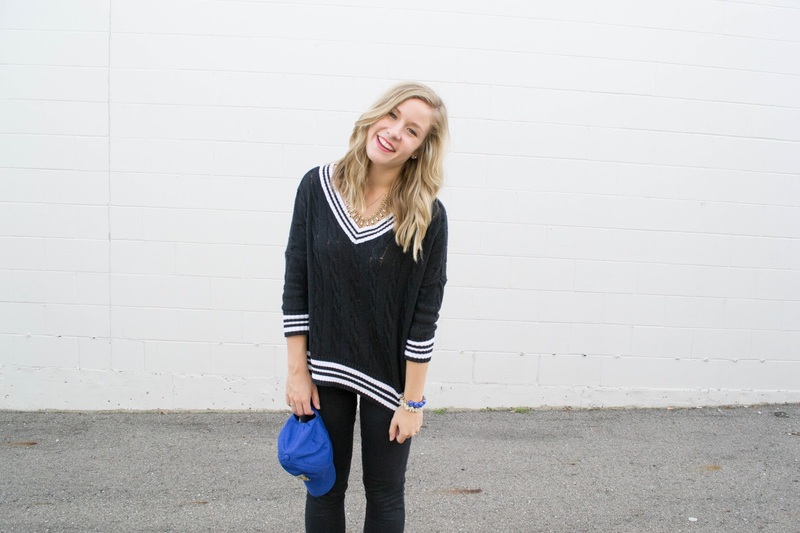 I totally forgot about these photos and wanted to make sure I blogged this outfit asap! You look soo pretty here Lisa! I love the first picture! 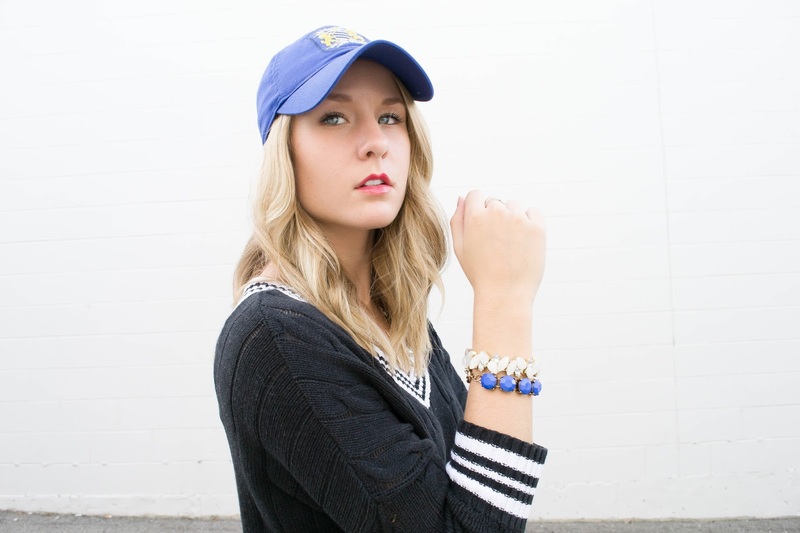 Great black and blue combo! Love the outfit and the hat makes it stand out even more!